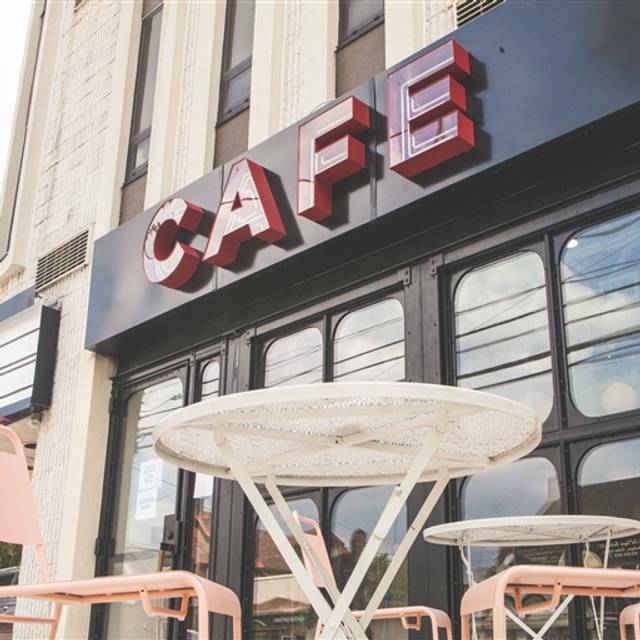 BROUGHT TO YOU BY THE 13TH STREET KITCHENS FAMILY, CAFE LIFT NARBERTH IS THE SECOND LOCATION OF ITS KIND. Our motto is Brunch. All Day. Every Day. and we mean it. In 2003, Michael & Jeniphur Pasquarello opened up Cafe Lift on North 13th Street next to the city's Rail Park. Our seasonal & locally focused brunch has developed a huge following over the years. 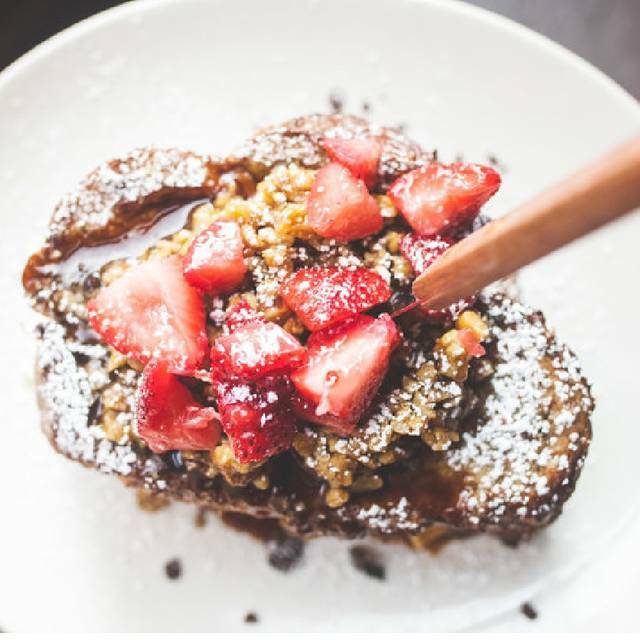 Cafe Lift Narberth will be offering the same style menu with added benefit of boozy brunch. We were not offered coffee or dessert or if we wanted anything else before the check was placed on the table. We left the restaurant at 8:25 PM so were not there late. Felt rushed out. Great poutine and tomato-carrot soup. Loved the laid back atmosphere and food/drinks that made both kids and adults happy! We went for dinner. Ambience feels a bit like an IKEA dining area where it’s super bright and not the most comfortable for a relaxing dinner, but the food was pretty good. Salmon entree was fantastic. Burger was average. Loved the baby carrot appetizer and Savannah’s service! Nice place. Friendly staff. The cauliflower app was amazing! Nice Dinner Spot!! All menu items seemed on point! Might recommend, but I think for location, ambiance, menu, over priced. I kept having the thought, they are trying too hard. Liquor is over priced compared to similar style restaurants, or actually you can get more oz for the same price, at similar places. Maybe change to 8 oz glasses?? KIds meal portions are too small, and there really isn't a kid benefit, usually kids meals in restaurants like this come with a small drink and a little desert( scoop of ice-cream for example). Wouldn't be in a rush to go back. Will say, serving staff were lovely. Less crowded than other restaurants in the Narberth area. That's a plus. Waitress was very friendly but not very knowledgeable about the food or the drinks. Did go and find out the answers to our questions so that was great. Ordered pork schnitzel (overcooked) which came with 'crispy' potatoes. (I know potatoes, fried or salad, are the traditional sides. Try spatzel which is easy and cheap or serve potato salad instead.) Anyway, a more accurate description would be 'soggy' potatoes. They were terrible! The oil/fat they use to cook them was old or maybe can't stand up to the heat that was being used. Ugh! The waitress said they were the same potatoes that come with brunch items. Certainly don't want to go to brunch there now. See photo on their website of the potatoes on a plate with an egg. Friends had the agnolotti and the salmon which they enjoyed. No potatoes there. Ordered coffee but couldn't get a refill because they had dumped out the pot. Coffee stations can be cleaned for the night before the pots are dumped. Also, immediately before the pots are dumped do a sweep of the restaurant to see if anyone would like a refill/top off. "We'll be closing soon so could I top off your coffee or get you anything else?" Desserts were enjoyable. Lights banged on at 10:00 which was a sure sign to get out. Will probably go back because it's close but will not order anything with 'crispy' potatoes and will make sure to ask for a refill instead of thinking someone will ask if you'd like one. As a dinner spot, it lacks energy. It was very sleepy. A few tables of tired parents with their little kids, music that was so quiet that it’s wasn’t discernible, and an uninspired menu. The food was just so so. The waitress was sweet and attentive. We won’t be back for dinner. Breakfast maybe. Food was delicious. Octopus was some of the best we ever tasted. Portions are a little small but we ordered a side of focaccia which was absolutely scrumptious. Butterscotch pudding for dessert was also outstanding. We definitely will go back! Creative menu well executed. Quite enough to talk. Not quite used to paying for bread however. Back for brunch one day. Food was just ok. Burgers weren’t great. Salmon was not flavorful. Not worth the cost. Would recommend for breakfast or brunch but dinner not so much. The food was hit or miss. Slightly over priced imo (except drinks at happy hour). Overcooked poached shrimp and flounder. Drinks and dessert were fantastic. Love brunch there, so will give another chance in the future after they have been doing dinner a bit longer. The food was good although the service was a bit rough. , For instance our server had no idea what kind of bourbon the bar served. With a little bit of staff training and polish, this place, which is still relatively new, could be a real winner. They have only been open for dinner for a few weeks so hopefully food, service, and ambiance will improve. I like this spot for brunch so dinner was a disappointment. Bread on the panini was burnt, roasted chicken was bland, very small portions and especially on the steak frites. The server was unenthusiastic and unfamiliar with the small menu. Add on that the headlights from the parking lot streaming in were level with our eyes. Too bad, as this could be a nice addition to the neighborhood. Dinner was very disappointing! Great cocktails and good appetizers, but entrees were over cooked. The Flounder was inedible. Will go back for brunch but not dinner. I love Lift Cafe for breakfast/lunch. Dinner - disappointing. The food was fair, at best, however, the service was excellent. I appreciate the excellent service, however, I also want to enjoy my meal. Started with the humus appetizer (had about 4 teaspoons of humus and 4 little pieces of toast), the octopus was ridiculously garlicky. Three out of 4 at the table ordered the grilled chicken sandwich. It was tasteless - so bland! The other entree was a pasta, which was very tasty and delicious, but not a large enough portion for a main course. The Cafe Lift fries are awesome, but way too salty!